Located on the top floor of the main building of Elysium Resort & Spa, Noble offers a multisensory culinary experience focusing on Rhodian cuisine. Chef Stamatios Misomikes and George Troumouchis use science and modern technology to create modernist and progressive re-interpretations of traditional recipes. 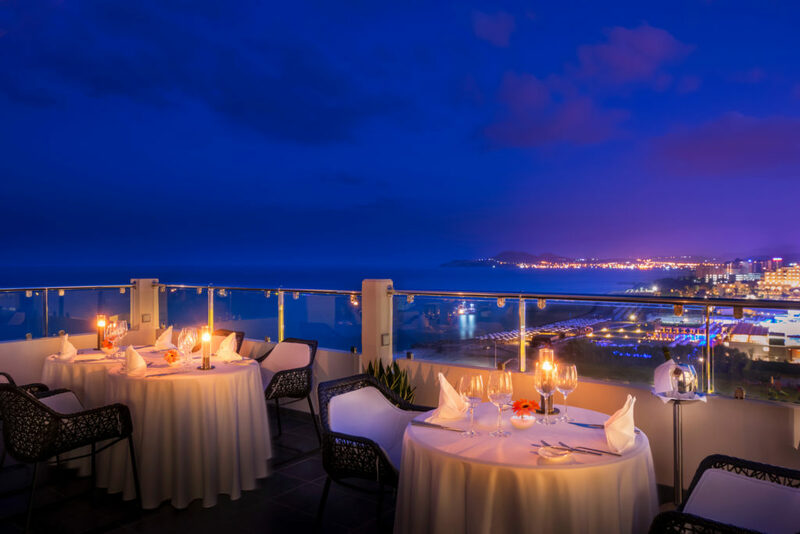 The breathtaking panoramic views of the Faliraki bay, the minimal décor, and the soft piano melodies create an enchanting dining environment. In 2018, Noble has been awarded a Toque d’Or, being among Greece’s top 25 restaurants, and a Greek Cuisine Award. 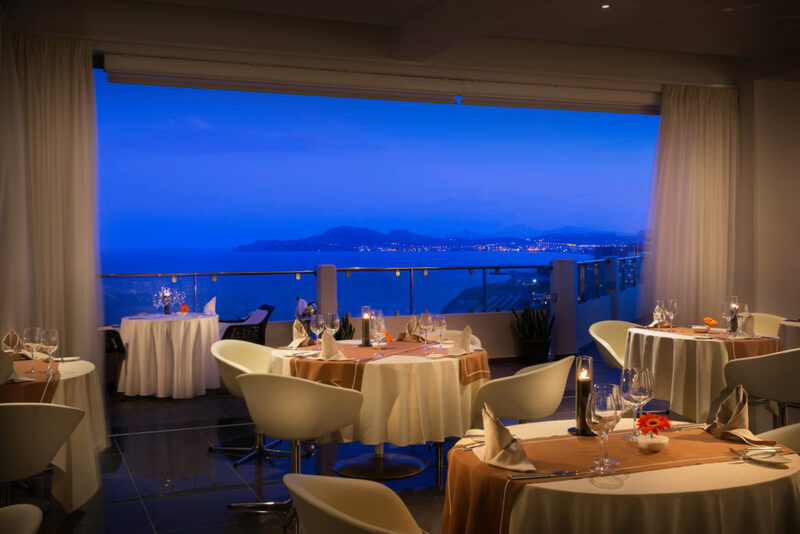 In 2017, at the Xenia Gastronomy exhibition, Noble has been awarded as one of the best four thematic restaurants in Greece. The awards validate and reward not only our effort but the result of it as well. The restaurant operates daily (except Monday) 19:00 – 23:00 (last order). Please note that gentlemen are kindly required to wear long trousers during dinner in the restaurant.